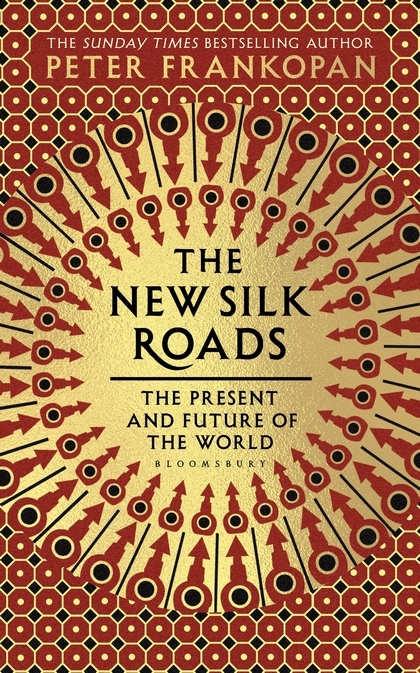 Book Review: The New Silk Roads by Peter Frankopan. Since the uncorrected proof arrived at Historyland HQ the news has been full of headlines that echo the themes of The New Silk Roads. You’d think it was mad coincidence, but actually it’s more like inevitability. Type “New Silk Road’ into Google and the Belt and Road initiative is the first prompt to appear on the list. News from the east is devoured as heartily as the breakfast it is read over, and curiosity about what is happening there is fast becoming a part of everyone’s daily lives, which means the Silk Road’s are alive and well. Go here to enter a giveaway. News that comes with the Sun. I’d be inclined to believe that it’s like had not been seen during my lifetime. From Hammersmith to Knightsbridge on either side of the Great West Road, and even flashing past, pasted to the side of City taxi’s was the face of Mohammed bin Salman, crown prince of Saudi Arabia. His perfectly manicured features materialized from electronic billboards along one of the city’s major commuter arteries, traversed by hundreds of the city’s most influential businesspeople, flanked as it is already by names worth billions of dollars and pounds and accompanied by galvanizing, ringing words of self promotion. “He is bringing change to Saudi Arabia“, boasted one. “He is opening Saudi Arabia to the world” ran another. In one poster a veiled young Saudi woman, with a conveniently modern looking head covering stared out from behind the wheel of a car, smiling confidently while the glowing writing proclaimed: “He is empowering Saudi Arabian Women”. Indeed for a portion of the spring of 2018, Mohammed Bin Salman’s PR offensive was thrust upon the consciousness of every London commuter, with mixed results for the public, some of whom declared, scathingly, that London had been turned into Riyadh. Yet to those for whom the messages were intended, it was a clear invitation, and indeed a declaration of intent. The Hashtag was “ANewSaudiArabia”, Saudi Arabia had opened for business, and London was being invited to the table. Yet for those who cried “Riyadh”, there was something more thought-provoking to add and it was only a matter of months before the news of the Khashoggi murder broke, seemingly to both undo much of the commercial gains (except in the case of existing arms deals), and confirm the sceptics’ worst fears; that some things just don’t change that quickly. These events and headlines in a way encapsulate the pattern of The New Silk Roads by Peter Frankopan. The core of this fascinating and insightful book is represented in the chapter headings. The main Roads lead to the Heart of the World, to Beijing, to Rivalry and to the Future. As they suggest, the pulse of the world can be taken by watching the Silk Roads. For one strata of thinkers this book is going to be hopeful, but for the other it will confirm their worst fears. In a sense it can be taken as a reminder that fluidity is a great strength, history makes that clear, and at the same time a warning to those who do not wish to bend with the wind. This autumn viewers of ITV and Channel 4 were able to watch Joanna Lumley and Michael Palin travel to Iran and North Korea respectively. The two countries most mistrusted by the western world letting their gates widen a crack is significant. The view that watchers could see was an encouraging one, as the two presenters, who had lived as helpless bystanders through the Cold War, found it hard not to find hope in the experience as they came face to face with the people, and not the governments. The third episode of Joanna Lumley’s Silk Road Adventure indeed seemed to confirm with weighty visual impact, what Frankopan is talking about when he speaks in the chapter, Roads to the Centre of the World. At a time when Britain seems to be clamouring to shut the gates, London continues to look to foreign investment, and that means looking eastward. A fact which superficially seems to ignore the EU question. In 2018 Kensington High Street became host to the Japanese government’s high end cultural outreach scheme, Japan House. A wondrous haven of cool tranquility just a step away from the hot and cramped sidewalks a stone’s throw from Hyde Park. A measure of how much interest there is in Japan can be gauged by the YouTube success of a slew of English-speaking foreigners, all of which encourage both tourism, and for some, immigration. These are ripples emanating from the New Silk Roads. A vast network of commercial and communication highways, like distant cosmic bodies, invisible to the naked eye, but revealed by their effects. Orbits, displacements, the rising and falling of tides and the change of seasons, most of us don’t know how it works, but few would deny the results add up. London indeed might have remained open, but it is predominantly open to the east, and it is particularly noted in the book that this outlook has allot to do with those who can and can not deliver. This book is at face value an epilogue to The Silk Roads. It strives to recount and foretell the rise of eastern investment and business, and in that sense it could be an editorial from the FT, or the Economist, and the theme is more or less maintained. It is focusing on geopolitics, economics, and diplomacy. Excellently outlining why News is the first draft of history. The principle aim of the book, to show the new “Roads” and where they lead would I think be a challenging job to any that do not have Frankopan’s knowledgeable insight for the subject. He also being notable perhaps as one of the few historians to have made a name for himself by writing one book and then expanding it. Silk Roads and its progeny must be recognised as one of the most influential books of the 21st century. Where are they and where are they Going? Silk Roads are everywhere that commerce can move and they lead mostly to Beijing. Frankopan identifies these routes in large to Hillary Clinton’s idea of silk roads, while noting that, no money was put where the USA’s mouth was, and the east can accomplish what the west promises. Democratic leaders in Europe & America often speak loudly of ideas but rarely bring their words to fruition anymore. Not so in Beijing. The Belt & Road initiative being described as the most influential of the new silk roads. Meanwhile though the concerns about each road are voiced, one cannot but feel that the roads to the west are all leading to less than positive destinations. The roads to rivalry unsurprisingly centre around the White House and attempts to lay out why the president’s reckless behaviour is in fact detrimental. It is a disquieting chapter. At a time when Europe and America seem to be fragmenting into nation states, the east appears, in spite of its many issues, be drawing closer together and cooperating. The roads to the centre of the world are those of discussion, and sometimes threat, but in large they are shown as being on the cusp of an embryonic stage, as yet unidentified. One thing is clear, Frankopan can see that it is moving, and by and large it is positive movement, albeit startling, and indeed perhaps, frightening movement. Three hundred year’s ago the east was the place to make your fortune, the trade and opportunities along the Silk routes were a constant draw to traders, businessmen, mercenaries, politicians and diplomats until the flourishing of the Industrial Revolution. Indeed between 1850 and the First World War, you could not go far enough east in pursuit of profit. Almost 2,550 years ago, this could be seen to be the same, entranced as we often are by Rome and Greece, it is easy to dismiss the influence nations and empires, such as Persia and its successors, had over the caravan routes that fed the near east with luxury goods, ideas such as the rights of man, scientific ideas and knowledge. If you’ve ever wondered how the study of the past makes you see the present, and how by doing that you can try to predict emerging patterns for the future, The New Silk Roads will give you some idea. Peter Frankopan’s knowledge of how the old Silk Roads shaped our world has allowed him to look at the world from a unique perspective, drawing as he can on a wealth of information as old as time itself. As a history of the world told in its major diplomatic, financial and economical events over the last 28 years it unceasingly directs our view eastward, though unsurprisingly Donald Trump plays a fairly ubiquitous role, identifying a rot in western policies and initiatives as the great powers that famously bestrode the world after the industrial revolution, fall more and more behind the curve. Focusing mostly on the activities of China, Russia, Iran (and as a conglomerate, the other states that exist below and in between) Frankopan wishes to establish a picture of the current state of these roads, and from there point to emerging patterns without coming to any definite conclusion except to hint strongly that we are living in the twilight, not of western civilisation but of western global influence. The book in the end is about the greatest constant feature of Silk Roads, both ancient and modern; change. And Lucky are the few who are truly at home with its chimerical caprices. Laying out what that change is and where it is coming from. It is both a warning and an encouragement that those who seek to suppress or oppose tides tend to be carried away by them, and adaptability is the key. 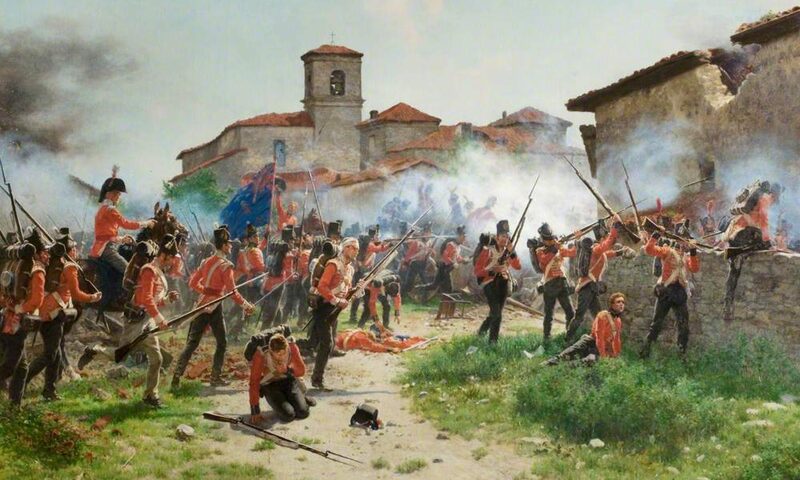 Previous PostPrevious Book Review: Major Tom’s War by Vee Walker. Next PostNext Silk Roads Giveaway!